Highest quality, years of experience and the highest standards, provide an exceptional treatment experience for customers and therapists. In this section we will present you complete Spa furniture collections. 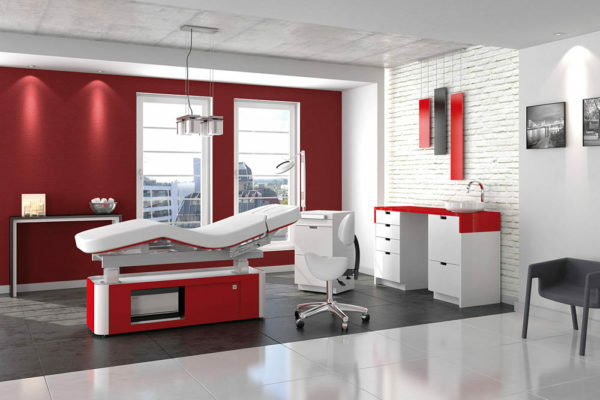 Combinations of treatment tables, stools and other furniture elements – perfectly combined with each other. 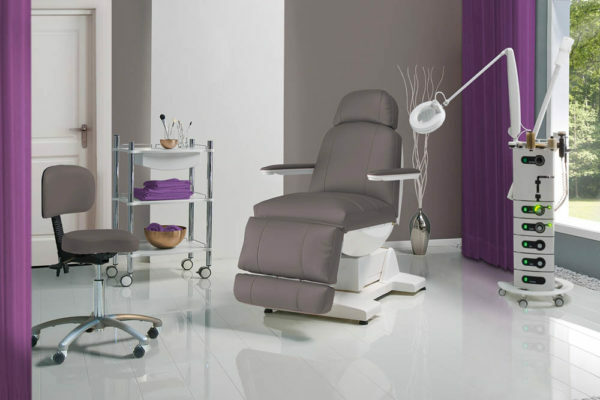 Are you looking for ideas for your treatment room? Then you are welcome to take a look. 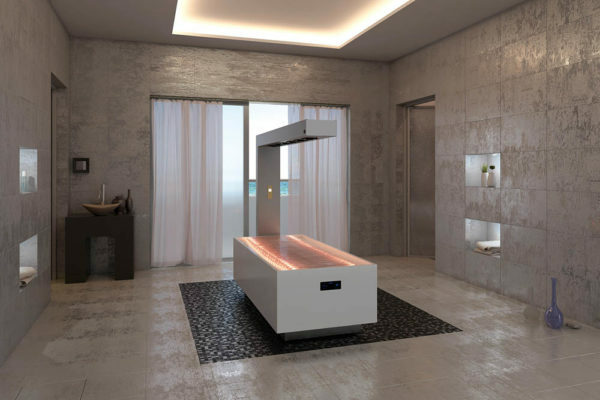 Gharieni treatment tables offer the highest level of comfort for the guests and characterize your spa with the highest standards of quality and innovation. The best addresses of the world’s Spa & Wellness industry rely on the quality made in Germany. For every therapist ergonomic work is extremely important to avoid muscle and joint pain. 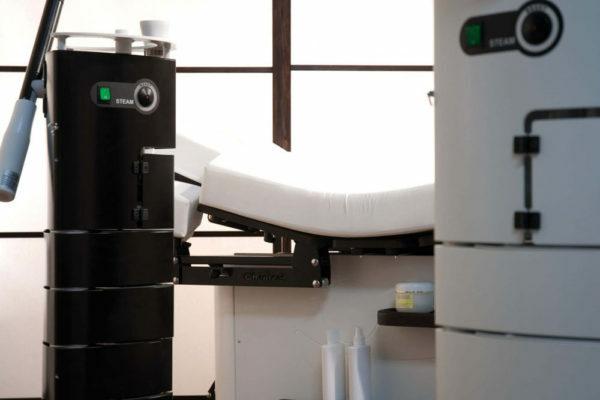 Treatment beds by Gharieni are technically perfect designed to allow a low-stress treatment. 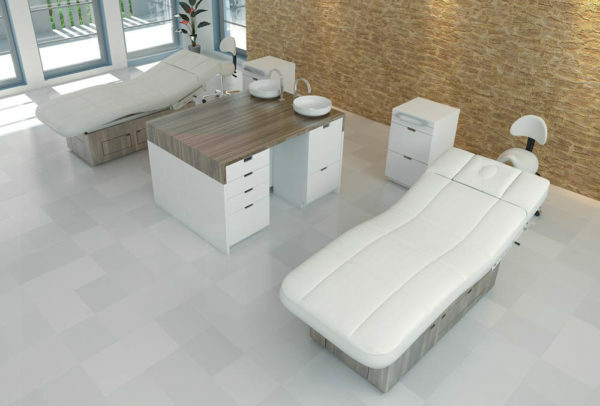 In the section “special treatment tables”, we show you treatment tables for the more sophisticated requirements. 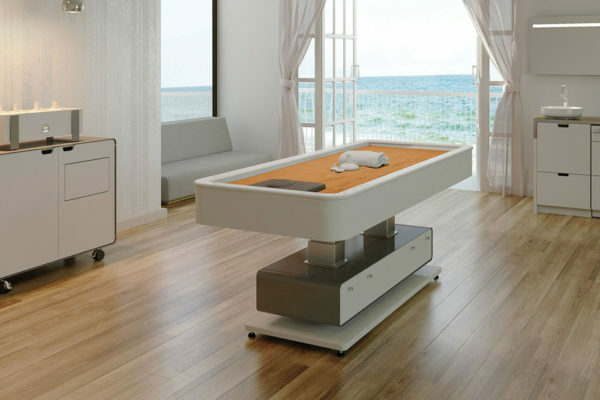 Here you will find incomparable flexibility, perfectly adapted tables for signature treatments or our famous quartz bed. Water as an element of relaxation is a supporting pillar in today’s world of spas. The Gharieni HydroSpa concept offers exceptional experiences from water choreographies or steam. 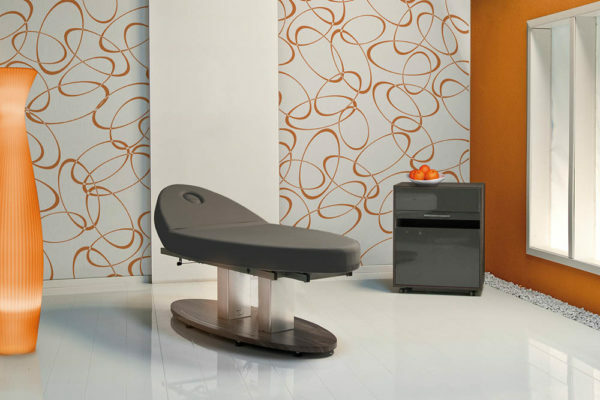 Maximum functionality and design ensure the right massage equipment for your facilities. 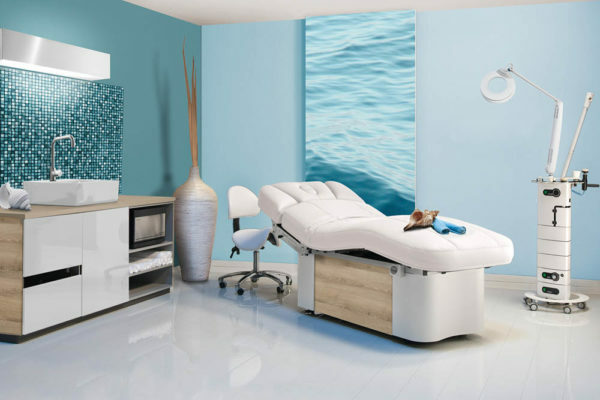 In addition to the comfortable surfaces, finest technology is used, to enable the therapist to achieve an ergonomically optimal treatment position. 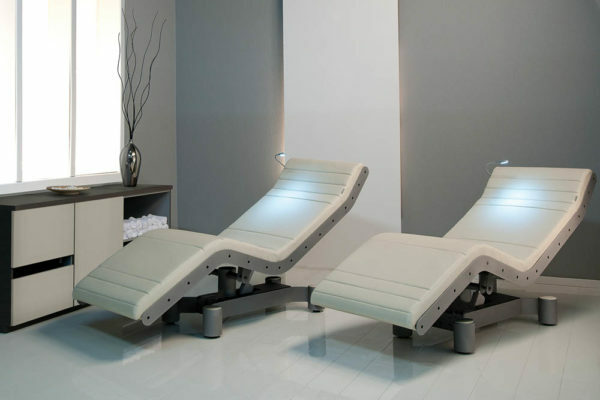 Anatomically attractive models such as our Evo loungers or our water beds offer the optimum relaxation to the customer. Provide a stylish highlight in your spa with our comfortable Gharieni loungers. Our treatment units and steamers provide powerful performance with minimum working noise. We work with the highest standards of quality and functionality to turn your daily work tool into a reliable tool you don’t want to miss. In this category we offer a wide range of furniture collections, trolleys, cabinets, chairs and stools. If you are looking for a new furnishing concept, we are happy to advise you with our 25 years of experience.